Soft Wood Sofa by Front for Moroso. 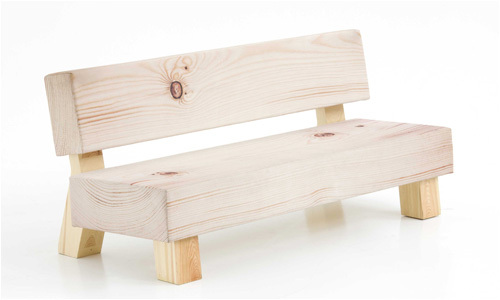 At first glance, this sofa by Swedish design group Front for Italian furniture company Moroso is just a very simple, contemporary piece of wooden sofa made of pine. When you sit on it, you then realize that you’re not sitting on wood, rather on a wood print cover over polyurethane. The cover itself (non-removable) is actually inkjet printed on Kvadrat fabric.